Plus, diamonds on sale and a new product that you should make your hair aware! 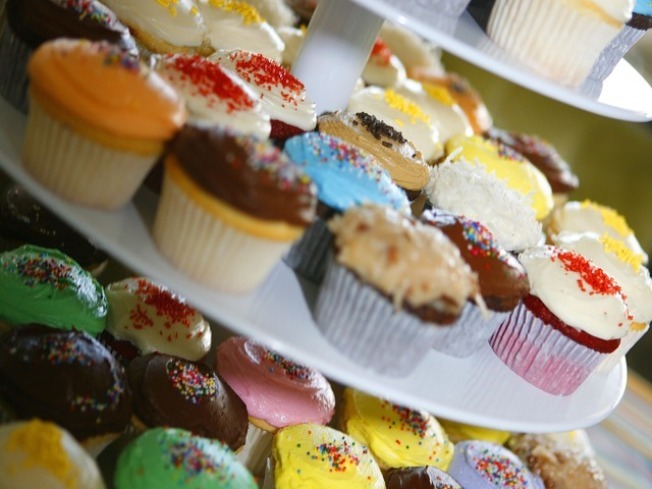 We're a cupcake craving nation, what can we say? SWEET TOOTH... We love all seasonal treats, so the new Caramel Apple cupcakes from The Cupcake Truck really float our boat. Don't worry, Loco Coco and Sweet Potato Pecan are still on board, but the Caramel Apple are for this week only so follow that cupcake! And remember, Friday (10/30) and Saturday (10/31), pop up at the cupcake truck in your Halloween costume (they request: "ABSOLUTELY NO MASKS, PLEASE") and potentially win 31 free cupcakes! Sweet deal! DIAMONDS ARE A GIRL'S BEST FRIEND... Peter Indorf is having their seasonally huge sale this week through Saturday (10/31) with 50-70 percent off their amazing gem and diamond jewelry. Visit either of their locations, in Madison or New Haven, and browse their handmade, one-of-a-kind jewels or commission one of your own. Not in a position to shop for yourself? Stop in a store to sign up for the Wish List program and let them inform your loved ones, just in time for the holidays. LACK LUSTER?.... Want This has learned not to mess with at-home hair dye kits, but our tattered roots may beg to differ. We just got wind of the 4-step Biolustré kit that uses a synthetic polymer and Lustreloc solution to bind and build your hair back to it's most fabulous state. The kit is based on the celebrity favorite salon treatment and, they say, is completely easy to use at home. It can be ordered online with all four solutions for less than $50.